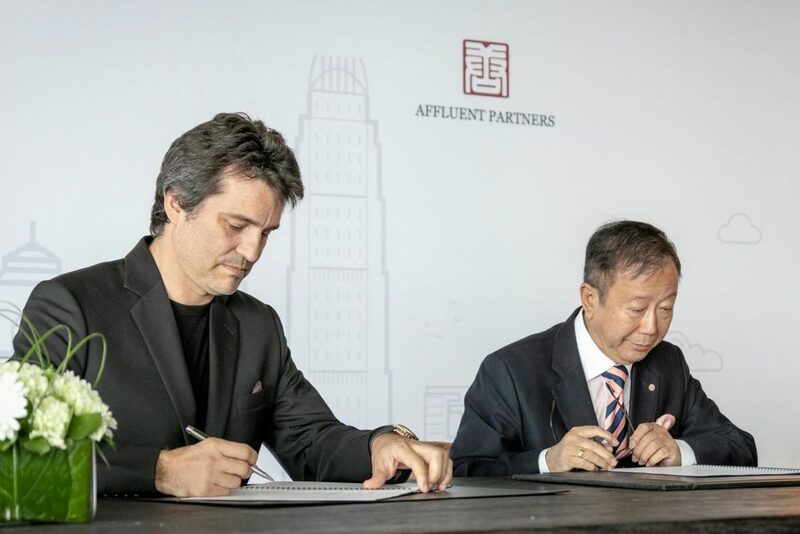 (Hong Kong, 17 January 2019) – Affluent Partners Holdings Limited and its subsidiaries (the “Group”; stock code: 1466), which are engaged in strategic investment and provision of financial services, has officially signed the cooperation agreement (the “Collaboration Agreement”) with Equitativa Real Estate Limited (“Equitativa”) with the partners committing to setting up a new real estate investment trust (REIT), namely the “Belt and Road REIT”, to invest in property assets along the new Eurasia trade corridor of China’s Belt & Road Initiative. Top executives from both groups namely Mr Stephen Yuen, Chairman of Affluent Partners Holdings Limited and Mr Sylvain Vieujot, Group Chairman of Equitativa attended the official signing ceremony at Equitativa’s offices in Index Tower in Dubai on 15 January 2019, to witness the important moment of the launch of the initiative. Mr Stephen Yuen, Chairman of Affluent Partners Holding Limited (right) and Mr Sylvain Vieujot, Group Chairman of Equitativa (left) signed the Collaboration Agreement at Equitativa’s office in Dubai. Equitativa is part of The Equitativa Group which is the leading regional asset manager focuses on creating and managing real estate investment trusts and is based in the United Arab Emirates (“UAE”). Having established the UAE’s first Shari’a compliant REIT, Emirates REIT (CEIC) Limited (“Emirates REIT”) incorporated in the Dubai International Financial Centre, Equitativa is today considered the largest REIT Manager in the Gulf Cooperation Council countries and the biggest REIT Manager for Shari’a Compliant REITs in the world. The Equitativa Group has about US$2 billion of assets under management. Equitativa is an independent REIT manager. It manages Emirates REIT which is listed on Nasdaq Dubai and The Residential REIT, the latter incorporated in Abu Dhabi Global Markets. Equitativa is further diversifying its REITs by launching a hospitality REIT, a logistics REIT, and several other REITs in emerging markets. Affluent Partners Holdings Limited and its subsidiaries are principally engaged in purchasing, processing, designing, production and wholesale distribution of pearls and jewellery products and the operation of strategic investment and financial services segment with the objective to include investments in real estate agency business and real estate investment funds, and other potential investment opportunities. The Group maintains expansion in real estate investment business through the strategic investment and financial services segment. This segment has been in operation and its objectives include investments in real estate agency business and real estate investment funds as well as other potential investment opportunities. 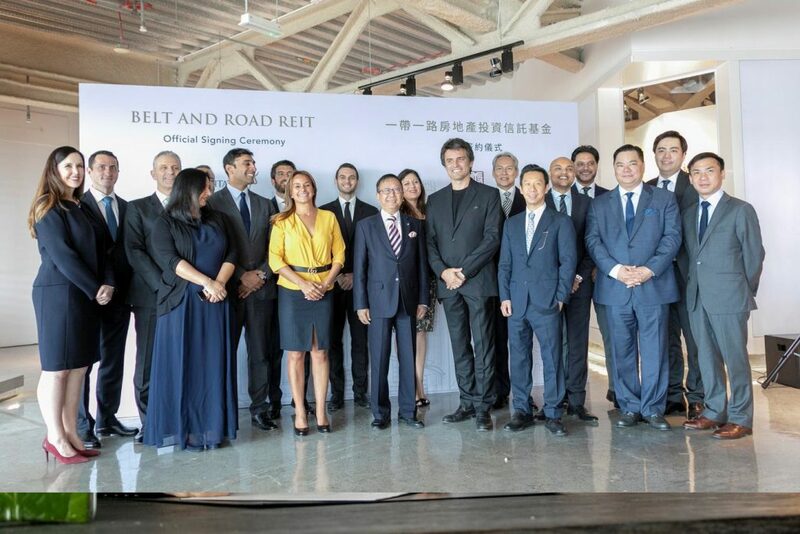 The Group will focus its investments and operations more in the real estate and investment and asset management sectors especially in Europe and Asia. Apart from the processing and sale of pearls, the Group also offers customers with a range of jewellery products. The Group’s jewellery products are mainly designed and produced in-house on an ODM basis or on an OEM basis.